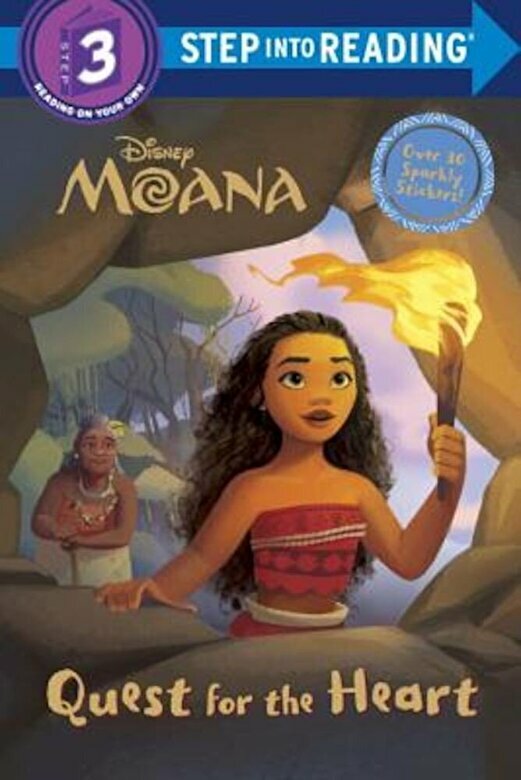 Prezentare Walt Disney Animation Studios' Moana is a sweeping, CG-animated comedy-adventure about a spirited teenager on an impossible mission to fulfill her ancestors' quest. In the ancient South Pacific world of Oceania, Moana, a born navigator, sets sail in search of a fabled island. During her incredible journey, she teams up with her hero, the legendary demi-god Maui, to traverse the open ocean on an action-packed voyage. They encounter enormous sea creatures, breathtaking underworlds, and ancient folklore. In theaters in late 2016, the film is directed by the renowned filmmaking team of Ron Clements and John Musker (The Little Mermaid, The Princess and the Frog, Aladdin). This Step 3 Step into Reading leveled reader based on the film features a shiny cover and collector cards. Perfect for children ages 4 to 6. Step 3 readers feature engaging characters in easy-to-follow plots about popular topics. For children who are ready to read on their own.